or somewhere to store the remotes. It also can store pens/pencils next to our household calendar as they're always looking for a home. Handy storage, organization for your remote control which you often look for. Two options to install: by screws, sticky pad, or stands on table directly. Perfect for the storage remote control, cell phones, keys and pens/pencil. 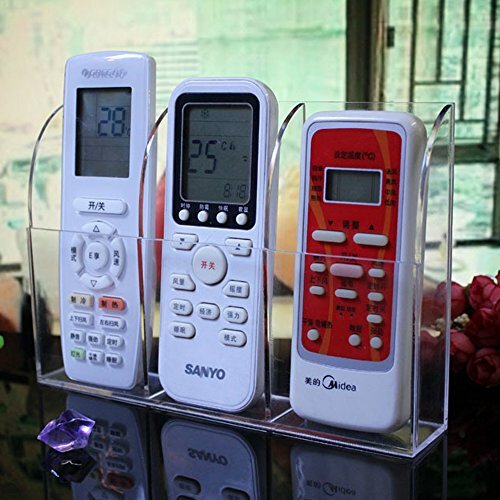 The tv remote control holder with transparent protective film which peeled off easily. If you have any questions about this product by HyFanStr, contact us by completing and submitting the form below. If you are looking for a specif part number, please include it with your message.